Being a dentist is about helping people. Dental health affects the body and the mind. By improving the health of the mouth, a person’s overall wellbeing is also improved. And by assisting a person achieve their best smile, I’m helping them become more confident and comfortable with their appearance. I truly love dentistry. No other profession allows the practitioner to have a profound impact on another’s life, while building lasting relationships. My conversations with patients and their families, our shared stories and laughter, and what I learn from each person, are fulfilling. I treasure the friendships I’ve made in the 20 years I’ve been practicing and cannot imagine another career. I love what I do and look forward to coming to the office in the morning. Doctor of Dental Medicine, Harvard University School of Dental Medicine. A commitment to continuing education and lifelong learning is part of being a dentist. By taking courses, I ensure I’m current on new techniques, materials, and technology. My patients benefit because they have access to the best care. 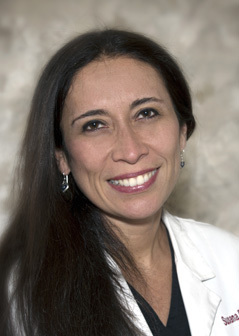 I’m able to deliver the most comfortable treatment and incredible results for their smile. 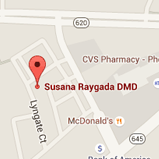 I’m an active member of the American Dental Association and the Northern Virginia Dental Society. I attend the organizations’ lectures, conferences, and seminars and pour over their journals and other publications. I share my home with my husband, two sons, and our family dog. Outside of work, you’ll most often find me spending time with my family. I love cooking and trying new recipes, and also enjoy staying in shape by working out six days a week.